Best advice for everyone….. don’t wait until you hit the “OMG, what happened to me?” phase of sun damage, etched wrinkles, precancerous lesions and blah skin to start a “refreshment” program. Here is a perfect example of an exceptionally beautiful lady who benefited from seeking refreshment sooner rather than later. Little touches of our expert care provided an overall glowing appearance. Also, she will benefit long-term from our trade secrets of keeping her skin healthy and glowing and preventing premature aging. Notice the scar improvement on her lower lip area? Loraine Olson, RN, is very proud that she can forget that she had a scar. The facial scar is vastly improved and more importantly, she is happy (that’s what is key). 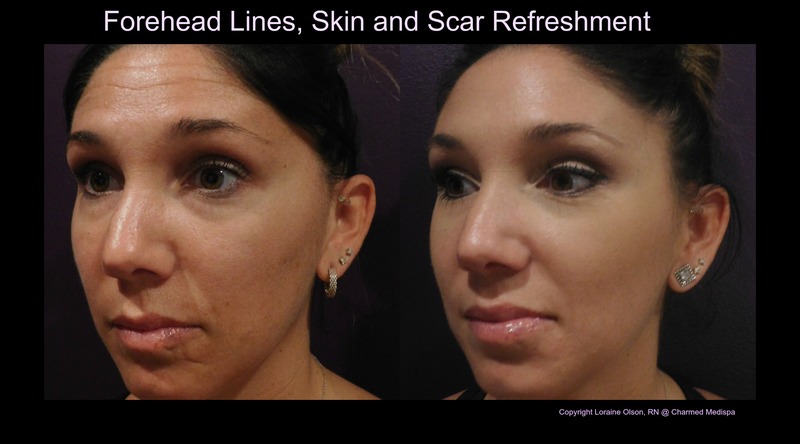 Scar management is important and there are resources to address scar depressions, scar elevations and mottled scar pigmentation with redness and brown discoloration. Many people think there is nothing they can do for scars but we have a ton of resources to address your concerns. Shae and Loraine consistently say, “challenge accepted.” If you have a concern and want to feel refreshed, give us the opportunity to educate you on your choices. We are thrilled to offer Exilis Ultra which is a superior technology to tighten skin and address a multitude of concerns. It’s a very popular time of year for laser treatments like IPL, laser hair removal, laser resurfacing like Pixel and Fraxel as well as chemical peels like the Charmed Fresh Peel, VI Peel, Bright Therapy and Glow peels. Peels can be customized and combined with laser treatments the same day. This combo is one of our favorites to address pigmentation, wrinkles, sun damage and textured spots. 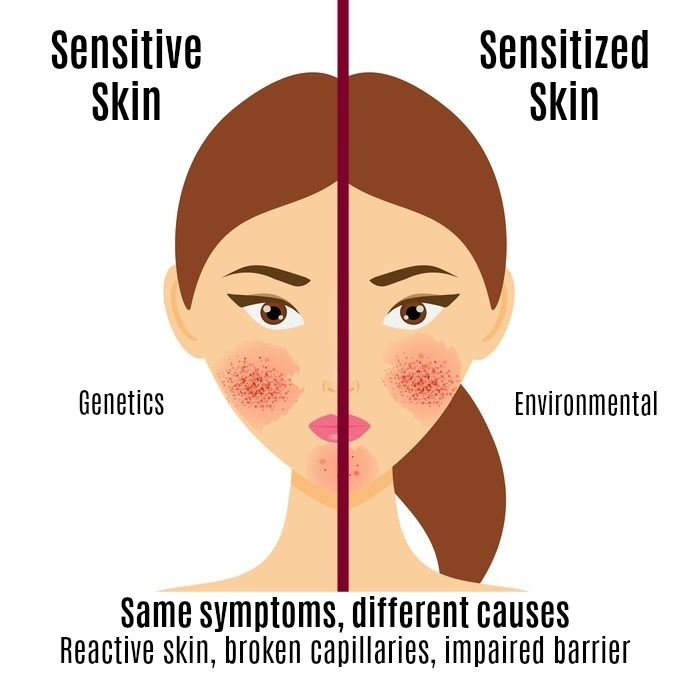 We encourage you to explore what your possibilities are and to understand how much easier it is to start early and keep your skin healthy than to start when you’re at the meltdown point. We also do meltdown phase very well for the record. You can start with simple skin care if other options are intimidating to you and we can walk you in the garden of refreshment at your desired pace. If you know us, you know that we are NOT here to point out imperfections but to augment your natural beauty. We like to think of it as polishing a beautiful diamond. Our office is conveniently located in Newark, Delaware, and we have over 25+ years of combined experience in the medical spa industry. Experience matters and allow us to lavish you with ours.